Despite playing in only 28 games and undergoing season ending surgery to repair a herniated disk in his back in 2013 with the New York Yankees, free agent Kevin Youkilis has come to terms with the Tohoku Rakuten Golden Eagles, according to Nikkan Sports' Patrick Newman. Both sides agreed to a one-year, according to MLBTradeRumors.com.. WEEI.com in Boston has reported that Youkilis will earn a base salary of $4 million with an addition $1 million in incentives. 2013 wasn't a year to remember for Youkilis, who was plagued with back problems as a member of the Yankees. This was coming off of a year in which he signed a one-year contract worth $12 million last offseason. He finished the year hitting a disappointing .219/.305/.343 with two homeruns and eight RBIs. He also spent a year playing for the Chicago White Sox for most of 2012. Playing in only 80 games, Youkilis batted .236 with eight homeruns and 46 RBIs in Chicago. 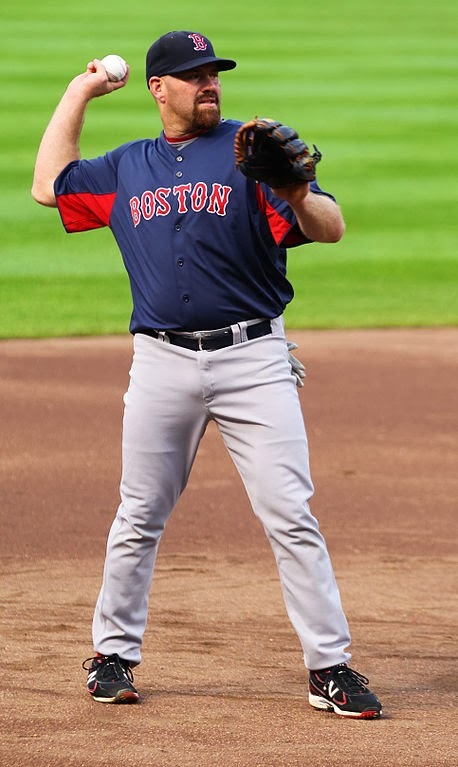 Youkilis has had success in the MLB while playing in Boston for eight seasons, where he helped clinch two World Series titles in 2004 and 2007. He also played in three All-Star games, as well as winning a Glove Glove award in 2007 as a first baseman and the Hank Aaron award in 2008. Reports are saying that Youkilis had a desire to play near his home on the West Coast in California. His agent, Joe Bick, told MLBTradeRumors.com that the Youkilis family will travel and live with him in Japan. "He's looking at this as a terrific life experience for his family," Bick told ESPN.com's Jerry Crasnick. "There was a number of opportunities and inquiries and conversations that took place here [in the U.S.]. But in the final analysis, this is what the family decided they wanted to do." Youkilis may have the opportunity to play alongside ace Masahiro Tanaka, who is still waiting for the Golden Eagles to decide whether or not to post him for bids. Tohuko Rakuten lost third baseman Casey McGehee this offseason, as he will return to the MLB and play for the Miami Marlins.